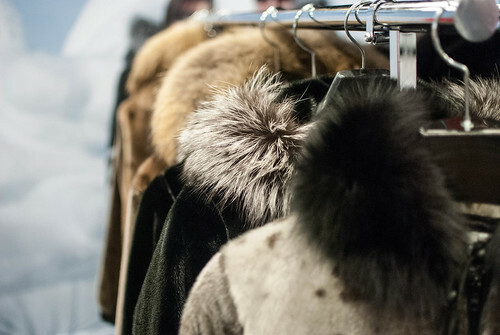 Normally I would not expect to write a fashion post about a conference, but the fact that I am demonstrates the wide range of events and activities taking place in Montreal for the International Polar Year conference this week. 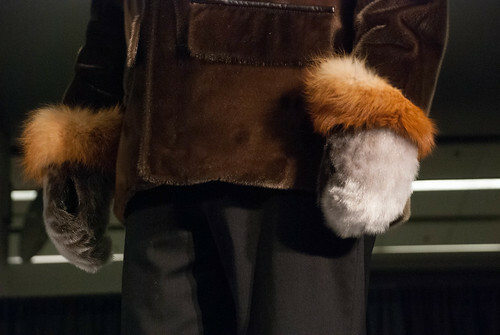 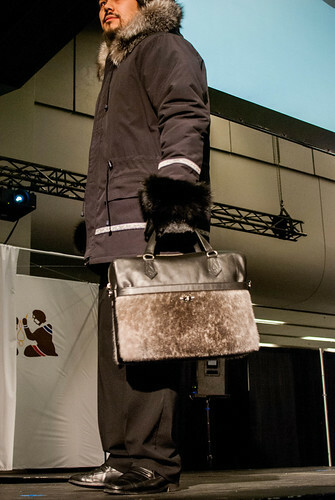 Monday afternoon, while scientists, policy makers, educators and polar industry representatives mingled in the exhibition hall, the duo of Nunavik Creations sent one after another of their stunning pieces down the runway. 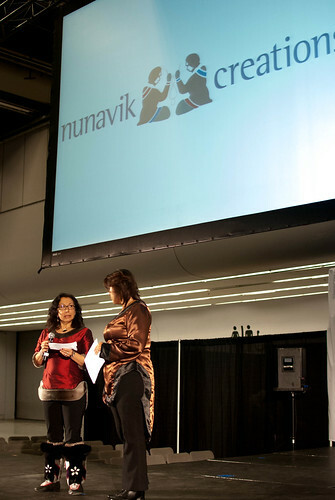 The region of Nunavik covers the land north of the 55th parallel in Quebec, and is therefore Quebec’s northernmost province. 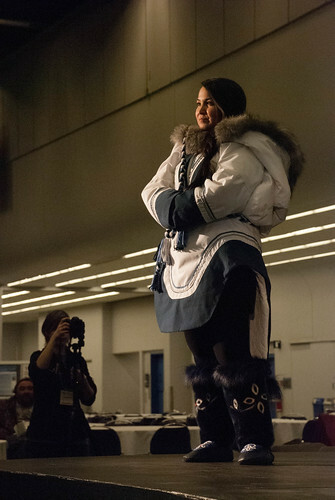 As the women behind Nunavik Creations suggest, the clothing they create is inspired by the harsh and beautiful climate of the tundra and taiga that they call home. 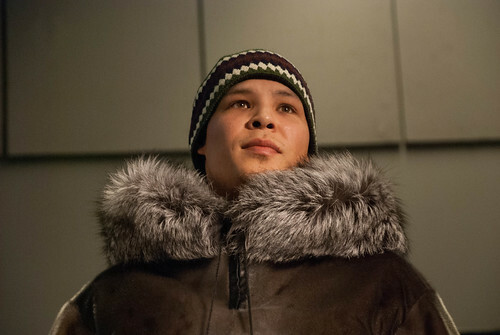 To learn more about Nunavik Creations, check out their website nunavikcreations.com.